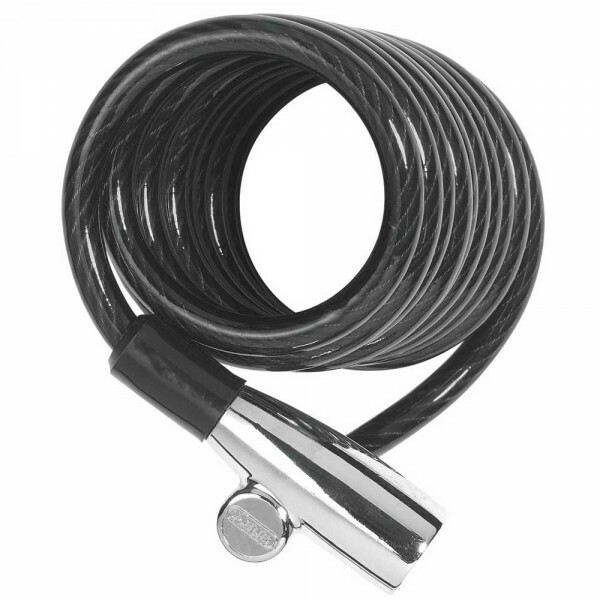 ABUS 1950 120cm keyed recoil cable lock with 7mm plastic covered recoil high-tensile cable. The plastic sleeve protects valuable paintwork and it is automatic locking: Handy double sided key. Designed to prevent opportunist theft and for fixing bicycles to a solid object (e.g. lamp post, sign, fence).